Edd Enders’ art was featured in the high-traffic lobby of the Emerson in Bozeman May through September, 2015. 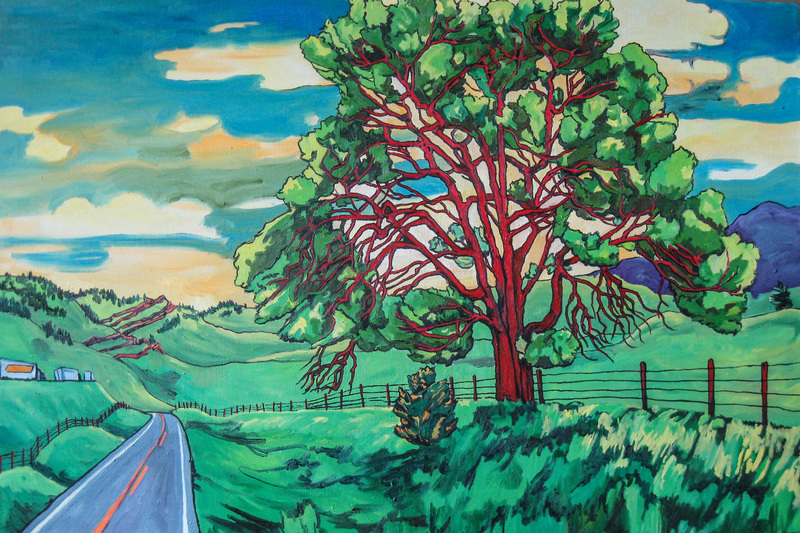 Edd’s vibrant paintings “Roads, Rivers, Sky” had an opening reception Friday, May 7 from 5 – 8 pm during the first Bozeman Art Walk of the Season and the work remained in the lobby through September. All original oil paintings are for sale through the duration. Enders does no prints or copies so this is an opportunity to invest in timeless and durable original work of oil on canvas – which will last for generations – from a self-taught iconic Montana native.